Tom’s freakish knowledge and physical ability in the woods leaves him in a position of consistently redefining the hunting experience between guided adventures and charity events. SARASOTA, FL, November 14, 2018 /24-7PressRelease/ — When it comes to choosing a hunting guide you typically base your decision off of the knowledge and skill they can provide to help you make your claim. Simply put, Tom Walker rises above the norm and puts on a show that you will remember the rest of your life. Tom’s freakish knowledge and physical ability in the woods leaves him in a position of consistently redefining the hunting experience. Between backwoods performance, and mainstream television on A&E’s hit show American Hoggers – Tom Walker has proven time and again that it doesn’t matter who he’s with, or what he’s hunting – he simply gets it done with style and excitement. This holds true so much to the point that he was named one of the toughest guides on the planet according to Field & Stream along with additional mentions from Realtree, and the NRA. 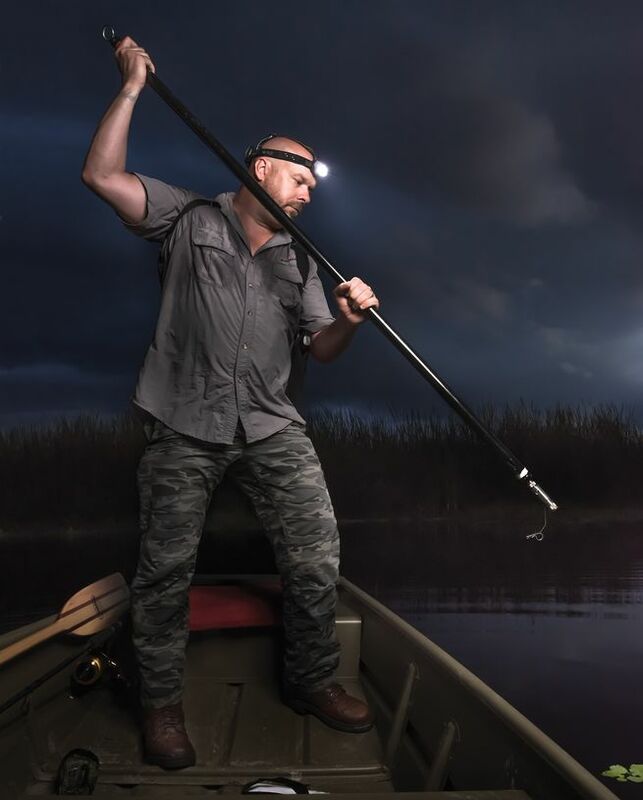 Of course we can’t forget his tips for bowhunting 1000-pound alligators. The question is how, and why? It all starts in the small town of Mulliken, Michigan where Tom grew up. With a rich outdoors environment Tom was drawn to the sport of hunting from a young age, and it acted as his outlet for mental stability in a town where there wasn’t much to do for a young boy. Over the years his passion grew as did his skill-set and drive to absorb everything hunting had to offer. From the therapeutic aspects of a peaceful sit in a stand, to the excitement of trapping live hogs – Tom couldn’t get enough. After feeling well-refined in his abilities he started taking friends along with him on his adventures, and that’s where the legend of Tom Walker begins. From there Tom recognized an opportunity to pay forward his knowledge and experience as a guide to help educate hunters of his craft, and share memories together that last a lifetime. With that, Tom Walker’s Outdoors Adventures was born. Between spending time with his family, and film production work Tom does guide today on a charity and referral basis when his schedule permits. If you would like to contact Tom’s team regarding a guided experience, or would like to partner with Tom on a charity or brand basis you can submit a request at: www.tomwalkersoutdooradventures.com.